These days supplements are very common. Let's face it, we cannot get all of our vitamins and minerals, not to mention the other needed supplements from our food. That is where dietary supplements come in. I like to take Biotin, Keratin and Collagen when possible. Biotin is my favorite because it helps grow healthy hair, skin and nails. The benefits from vitamins can vary by individual. It's important you check to see if you're deficient in a vitamin before deciding to take supplementation. Biotin actually increases the growth time of nails, skin cells and hair so that all of these things grow faster and look more beautiful. I do wish that biotin actually strengthened nails too but it doesn't. One way to get Biotin is from a wonderful nutrition company that offers vegan supplements called SBR Nutrition. 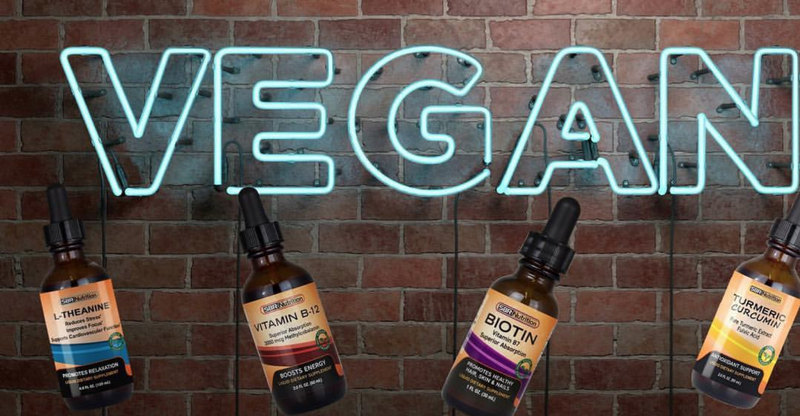 This company has several supplements in its arsenal, Biotin being one of them also Vitamin B12, Turmeric, and L-Theanine. I tried their liquid vegan Biotin. Besides being easier to consume, the reason SBR Nutrition makes their supplements in liquid form is that research suggests liquid supplements have a comparatively higher absorption rate when compared to supplements in solid form. If you are going to pay all that money for supplements you'd like to make sure that you're darn sure that they are being absorbed. With Biotin you can enhance your energy and beauty, as mentioned above, with the SBR Nutrition Biotin Liquid Drops. Often called the "beauty nutrient" Biotin delivers nourishment to your hair, skin and nails. It is a member of the B-vitamin complex and is a key cofactor of enzymes involved in fatty acid metabolism, helping to supply cells with energy. Each half dropper full contains the full dose of 5,000 mcg of biotin per serving (1,670% daily value). There are no artificial preservatives, it is vegan friendly, is non-gmo, and is made in the USA. All of their products are backed by a 60-day, 100% money back guarantee. SBR Nutrition wants you to be happy with your purchase. If you are not happy with your purchase, they will give you a refund without any problem. I guarantee that after you start using it, you will notice a difference within about two weeks. Your nails will start to grow faster. You will notice that your skin cells shed quicker, thus exfoliation is sped up. And your hair will also grow faster. So if you color your hair, you might need to touch up sooner. Or have it cut sooner than expected. But believe me, you will be happy. And you will continue to use biotin, just as I have. Because it works. And it works extremely well. SBR Liquid Nutrition Biotin retails for $17.99 per ounce. It can be found online at www.amazon.com, www.walmart.com and www.jet.com. Like SBR Nutrition on Facebook: https://www.facebook.com/SBRNutrition/; Follow SBR Nutrition on Twitter: @SBRNutrition; Follow SBR Nutrition on Pinterest: https://www.pinterest.com/sbrnutrition/?etslf=2940&eq=sbr%20nutrition and Follow SBR Nutrition on Instagram: https://www.instagram.com/sbrnutrition/.